Cast your mind back. John Major is Prime Minister, Monica Lewinsky ‘allegedly’ lost her pen under Bill Clinton’s desk, the first of the soon-to-be quadrilogy of Toy Story movies was released and Google was started as a research project by Larry Page and Sergey Brin. The year is 1995 and I became a Robert Gordon University student for the first time. Fast-forward 23 years and I found myself stood at the magnificent Robert Gordon University super campus on an autumnal September day. I arrived ridiculously early as I had failed to understand the abbreviations on my timetable and needed to ask someone who could decipher it! This first hurdle immediately highlighted the advantage of being a mature student. Two decades ago, I would have panicked and berated myself for not being able to decode the timetable. But now, I confidently strode forward and admitted it was gobbledygook! That first day at RGU was jaw-dropping. My chosen course is a Masters in Digital Marketing so I am by no means a technophobe, but to see the leaps and bounds that RGU has made are awe-inspiring. Everything was a world away from what I expected so I thought it would be helpful to note some things for the benefit of other soon-to-be mature students! As a busy self-employed mother of three, flexible learning was a must. I wanted to further my education but any studies had to fit around my existing commitments. I thought at first that was an impossible dream, then I discovered that this MSc could be done part time, attending university only one day per week. Years of being a parent means I am not conditioned to spend money on me. Most of my wardrobe is older than my first child, so to spend on university fees seemed a little indulgent. Two things made this an easier pill to swallow. First, RGU offer a 20% loyalty discount on course fees for all alumni who have graduated from RGU. Second, I could pay for the course in installments. If this still seems unfeasible you may be interested to know that tuition fee and living cost loans worth a total of £10,000 are on offer for those studying for a Masters or Postgraduate Diploma (PGDip) you can apply online via Student Awards Agency for Scotland (SAAS). With a two-decade gap in attending university, I was a little (hugely) nervous about my ability to study. As a university student coming straight from school I was skilled at studying, but some 23 years later it no longer came naturally to me and I was worried! Being honest with you, my attention span is probably about as long as…..sorry, where was I? I need not have worried, this course is ‘flipped learning’ which means the learning takes place before class, accessed via the online CampusMoodle. Moodle is a virtual learning environment which provides an enhanced set of features to better support learning. Instead of trying to keep up with the lecturer, I study in advance of class. Therefore the class environment becomes the place to work through problems, advance concepts, and engage in collaborative learning. Another perceived barrier for me was my academic skills. I had long since forgotten how to write a report or reference an essay. A quick delve into the Study Skills Homepage showed me a fantastic array of resources I could access to learn or refresh these skills, thus levelling the playing field. On my first day, I sat in a class where most of my classmates were millennials. Yes, this means most of them were being born when I first graduated from Robert Gordon University. I found this a little intimidating and I immediately started doubting my right to be there. At 40 years old was I too old to be studying something so current? It became clear to me over time the answer is no. As a mature student, I have developed wide-ranging organisational, communication and negotiating skills. Quite frankly my ability to negotiate with a three-year-old mini version of me should make me a recruitment target for MI6! I feel very much encouraged to bring my professional and personal learning into my degree. Although you may not think of them as academic or formal qualifications, these skills are invaluable for your study. On my first trip to the library, I was immediately struck by how technological it was. 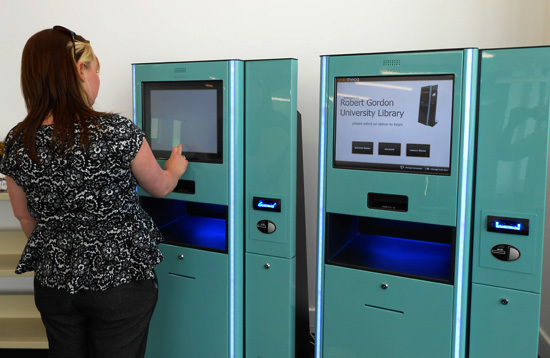 With its moving bookcases and self-service check out it was akin to something from Star Trek. Having absolutely no idea what to do I asked a librarian to help and she talked me through the entire process. She wisely reminded me that every single person there was new once and she’s right! Everything is easy when you know how. My top tip for you is to ask, ask and ask again. People really do want to help you. Undertaking a Masters as a mature student felt very brave and ambitious at the beginning. Now it feels like the most sensible decision I could have made. I have been able to broaden my horizons in a timely and financially viable way. I guess I’ll have to look elsewhere for my mid-life crisis. 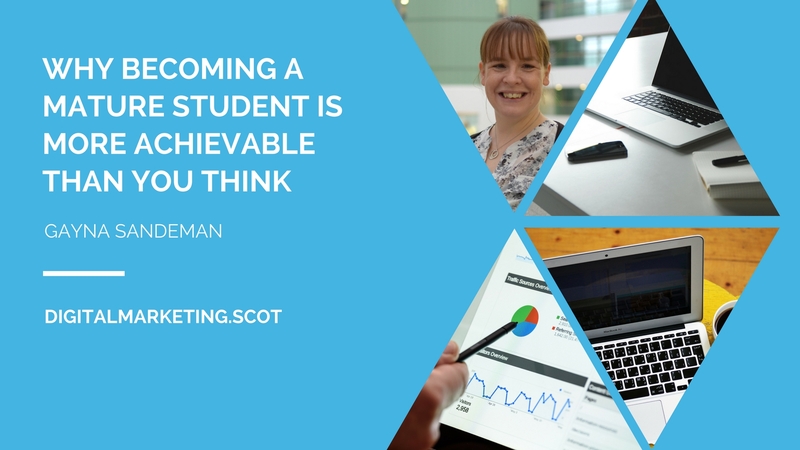 If you want to find out more specifically about choosing a Masters in Digital Marketing check out this blog post.